From one of America’s iconic writers, a portrait of a marriage and a life - in good times and bad - that will speak to anyone who has ever loved a husband or wife or child. A stunning book of electric honesty and passion. Several days before Christmas 2003, John Gregory Dunne and Joan Didion saw their only daughter, Quintana, fall ill. At first they thought it was flu, then pneumonia, then complete sceptic shock. She was put into an induced coma and placed on life support. Days later - the night before New Year’s Eve -the Dunnes were just sitting down to dinner after visiting the hospital when John suffered a massive and fatal coronary. In a second, this close, symbiotic partnership of 40 years was over. Four weeks later, their daughter pulled through. Two months after that, arriving at LA airport, she collapsed and underwent six hours of brain surgery at UCLA Medical Centre to relieve a massive hematoma. 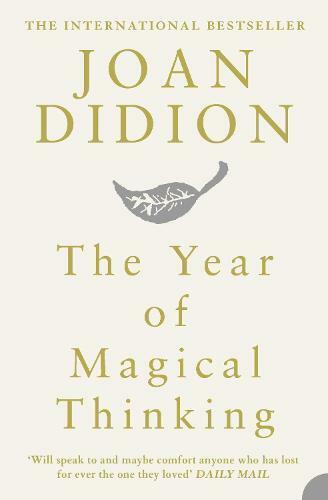 This powerful book is Didion’s “attempt to make sense of the weeks and then months that cut loose any fixed idea I ever had about death, about illness …about marriage and children and memory …about the shallowness of sanity, about life itself”. The result is an exploration of an intensely personal yet universal experience: a portrait of a marriage, and a life, in good times and bad.